All the beauty of wood with all the advantages of technology! Conestoga’s Everlast™ Log is a triple-laminated powerhouse of structural strength, stability and durability that also delivers the warmth, character and visual appeal of wood. 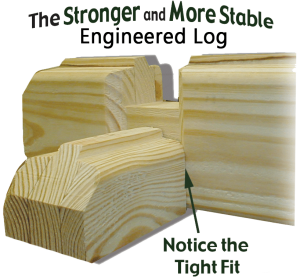 The Everlast™ Log is resistant to warping, twisting and settling because it is a more structurally stable log home solution. 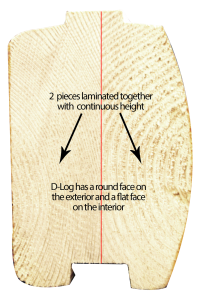 The Everlast™ Log is resistant to decay because it is kiln-dried below the 19% fungi threshold. 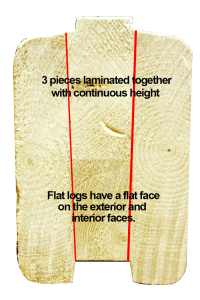 Resistance to warping and twisting leaves the Everlast™ Log so remarkably straight that they will stack plumb every time, adding to the ease of being designed so windows and doors fit precisely!